When it comes to fun-runs, ColorManila comes first. 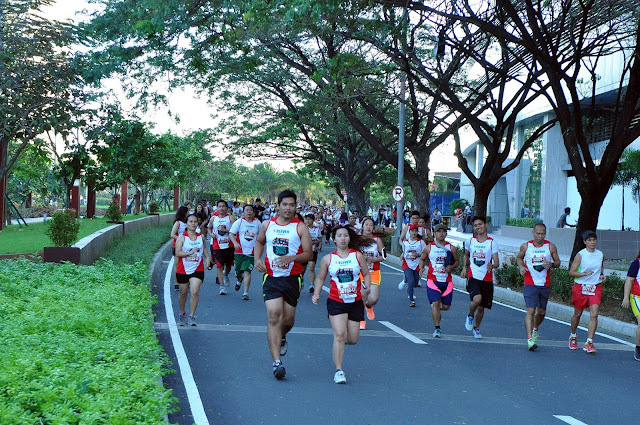 It kickstarted 2018 with the successful CM Paradise Run campaign last January, gearing up for another massive ‘concept fun-run’ on February 24, 2018, at McKinley West in Taguig City, with CM Blacklight Run, co-presented by Brother International Philippines. Visit colormanila.com for more details. Registration for the event is still open. One challenge most Filipinos face following the extravagant holidays is getting back to their budget after overspending. The new year is hereso it's time to make do with our promises of turning over a new leaf when it comes to our finances. The best way to start assessinghow much you need to get back into your cashflow is taking note of how much you've overspent the last two months. Being aware of the gap makes it real in your head and you will most likely be motivated to spend less in the coming weeks. This also allows you to break down how much you need to set aside each pay day so you don't get intimidated by the gap you have in your finances. Though returning to your regular spending habits seems like something you can do after the holiday rush, it's wisest to discipline your buying arm. Don't jump at the first discounts you see in malls or another best buy just yet. Instead, now could be a great time to start setting aside for the future and keeping your money safe with a unit-linked life insurance plan. BPI-Philam's got a good array of insurance plans from their Wellness Series that meet your specific needs and fit easily in your monthly cashflow. Unit-linked products like Life Ready Plus give you the necessary protection you need through insurance while allotting a portion of your premium on building your wealth. Keeping another set of funds you won't be able to disrupt with impulse buys grows your money better and makes sure you have it when you need it. Even better, all products under the Wellness Series empower you to live a more active and healthier life through Philam Vitality. The free program with your policy encourages activity by rewarding you with great discounts on gym membership, medical and lifestyle services, and fantastic freebies! Talk about more for less! Some people will advise you to start saving up for your Yuletide expenses as early as now so you don't end up blowing your Christmas bonus all in one go. Others will tell you to build a holiday fund by selling items you don't need or use, gradually growing it throughout the year. Whatever you decide on, choose a budgeting strategy that's doable for you. By personalizing your saving style, you'll be more flexible when it comes to setting aside money and be more creative with the money you have for expenses. And like the better adage says:practice makes permanent, so keep at it until it becomes an unbreakable good habit. Lastly, it never hurts to ask. So when you find yourself scratching your head on possible "How-Tos" but don't really know what to do,BPI-Philam's got your back. You can visit their website for some great financial tips or drop them a question on Facebook. They've also got financial experts in any BPIand BPI Family Savings Bankbranch in the country ready to help you get more out of your money. 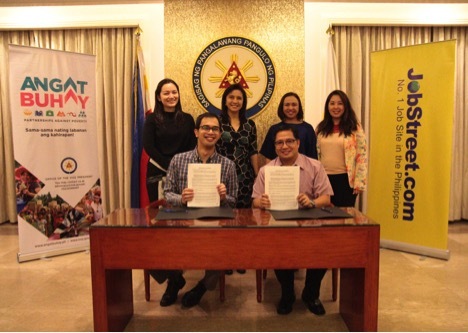 (MOA), forging a partnership on the #AngatBuhay program. Progress does not happen due to one technology breakthrough alone, as the history of human advancement taught us. Rather, it is caused by a combination of multiple complementary factors coming together at the same time. The Industrial Revolution, which began in the UK around 1760, was driven by an amalgamation of steam power, improvements in iron production and the development of the first machine tools. Similarly, the PC revolution of the early 1970’s was the outcome of simultaneous advancements in micro-processing, memory storage, software programming and other factors. Now, as we enter 2018, we are at the cusp of a new revolution, one that will ultimately transform every organisation, every industry and every public service across the world. I’m referring, of course, to Artificial Intelligence – or AI – and I believe 2018 is the year that this will start to become mainstream, to begin to impact many aspects of our lives in a truly ubiquitous and meaningful way. The concept of AI is not new. In fact, it stretches back to 1950 when early computing pioneer Alan Turing famously posed the question “Can Machines Think?” and it would be another 6 years, in 1956, before the term “artificial intelligence” was first used. So it has taken nearly 70 years for the right combination of factors to come together to move AI from concept to an increasingly ubiquitous reality. And there are three innovation trends driving its acceleration and adoption right now. The first is Big Data. The explosion of Internet-connected devices, sensors and objects has expanded exponentially the amount of data the world is now producing. In this increasingly digital era, data is the “new oil”– a source of value and sustainable competitive advantage. The second factor is ubiquitous and powerful Cloud computing. Today, anyone with an idea and a credit card can access the same computing power that, traditionally, only global multinationals or governments have possessed. Cloud computing is democratizing technology and accelerating innovation on a global scale. The third factor driving AI capabilities is breakthroughs in software algorithms and Machine Learning that can identify sophisticated patterns implicit within the data itself. If data is the new oil, Machine Learning is, perhaps, the new combustion engine. So, it is this combination of powerful industry trends, all maturing at the same time, that is accelerating – and democratizing – AI today. My colleague Harry Shum, who leads our AI & Research Group, refers to the way in which AI will impact our lives as an “invisible revolution”. What he means is that, increasingly, AI will be everywhere—powering your online recommendation engine, acting as a virtual assistant chatbot for your bank account or travel agent, personalizing your newsfeed or guarding your credit card against fraud. AI will be more pervasive – and yet less invasive – than any previous technology revolution. In particular, AI will be embedded seamlessly into existing, well-established products and services to enhance their capabilities. Let me share a simple example of how AI is helping me work more effectively today. I travel frequently and am often required to present to multinational, multilingual audiences during business trips across Asia Pacific. Now, with a small piece of AI technology called Microsoft Presentation Translator, I can help overcome any language barriers as PowerPoint can show real-time subtitles in more than 60 languages, simultaneously as I speak, during my presentations. In business, AI will be used by most companies for at least some part of the value chain either in research and development, design, logistics, manufacturing, servicing or customer engagement. In fact, leading IT industry analyst IDC believes that by next year, 40% of digital transformation initiatives globally will be supported by AI capabilities. And you do not need to be a start-up or hi-tech company to embrace the possibilities of AI, just have the vision and commitment to make it happen. Take, for example, Mitsubishi Fuso Truck and Bus Corporation (MFTBC), an 85-year-old Japanese auto manufacturer, which has given itself just two years to become a “100% digital operation” – complete with cloud-based capabilities in AI, the Internet of Things (IoT), and Mixed Reality (MR). One of the initiatives they have recently implemented is an AI-powered chatbot where all its 10,000 employees can access information and assistance they need in a faster, more intuitive and reliable way. This significantly reduces the time employees spend on learning the Intranet site navigation, searching for information or calling each other for help. The company is now planning to extend chatbot technology to boost customer services, productivity, and maintenance across the whole company. Ubiquitous Virtual Assistants: We will begin to see the adoption of broad-scale AI in the form of conversational AI chatbots in both consumer and business scenarios. In fact, Gartner predicts that by 2020 more than 85% of customer interactions with the enterprise will be managed without a human interaction and AI will be the key technology deployed for customer service. Democratizing data and decision-making: In a world where more data exists than ever before, the ability to deliver meaningful business insights from that data to the maximum number of relevant employees becomes of paramount importance. AI will be the key technology for making that happen by bringing together data from employees, business apps, and the world. Building trusted foundations for AI:There will be increasingly more discussions at governmental and industrial levels to create formal governance and regulations in the usage of AI. We saw these discussions with the onset of eCommerce and the advent of cloud technologies. It is critical for transparent public-private conversations to take place as they will shape how AI can benefit economies and societies in a fair, transparent and trusted way. The future of AI burns brightly and 2018 is the year that will establish a solid foundation for the mass adoption of this exciting and vital technology. “Having 7-Eleven Run here is a testament of our commitment to promote active lifestyle. their lives actively,” Ubaldo added. City, a live-work-play environment made real! Both men collided on the preliminary card of ONE Championship’s 12th live event on Philippine soil, which took place at the 20,000-capacity SM Mall of Asia Arena in Manila last Friday, 26 January. 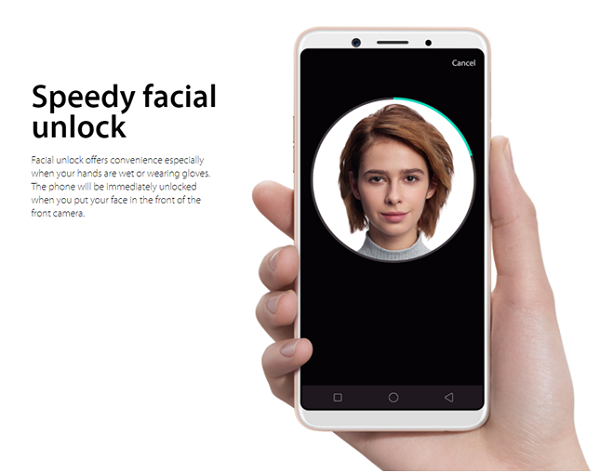 OPPO Philippines welcomes 2018 with its fourth member of the A.I. Beauty and Full Screen technology smartphones, the A83. 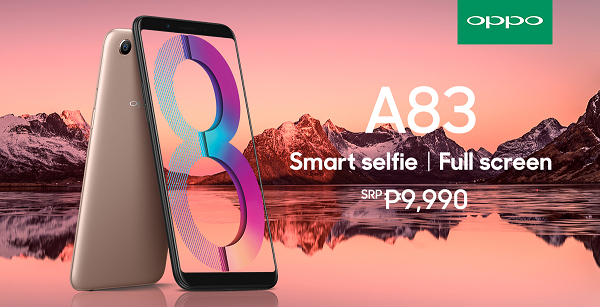 Priced at Php 9,990, the A83 disrupts the ­entry mid-range smartphone category with the most affordable 18:9 Full Screen display, A.I. Beauty Selfies, Facial Unlock, powerful processor performance, and outstanding battery life of up to 13.5hrs. Featuring a 5.7” HD+ Full Screen display, OPPO A83 brings out a new immersive visual experience and powerful 2.5 GHz octa-core processor performance, similar with the famous OPPO F5 series. Accompanied with a 3GB RAM, the A83 is the perfect smartphone for multi-tasking. Surprisingly, the A83 fits at the palm of your hand at a 5.2” smartphone footprint, making it easy to carry around at just 143g. Carrying a 2.5 GHz Octa-Core Processor just like the F5, the A83 can carry the latest games in the market with fluid experience such as the Arena of Valor and more. Gaming will now be more immersive because of its 18:9 ratio full screen that delivers more visuals as compared to older smartphones. “Our OPPO A83 brings the best value any smartphone user can ever have – at an affordable price of Php9,990, the A83 offers the latest 18:9 Full Screen, a powerful processor, facial unlock, and the famous A.I. Beauty Technology for natural-looking selfies. 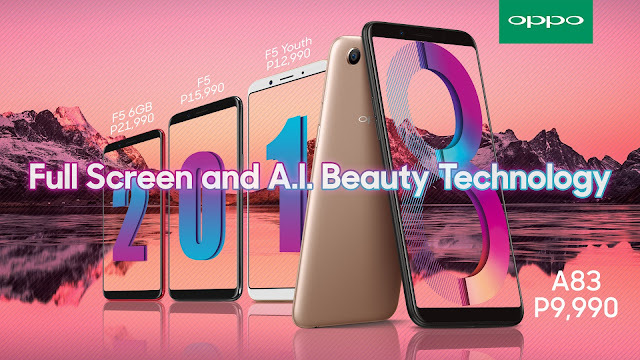 For less than ten thousand pesos, we are confident that the A83 will surely make a mark in the entry-mid range smartphone market”, said Eason de Guzman, OPPO Philippines’ Public Relations Manager. With Valentines just around the corner, we decided to ask Dr. Paolo Bellosillo who is known for advocating living a quality life to share his thoughts on how you can protect your heart from the greatest stressor in life, a heartbreak. 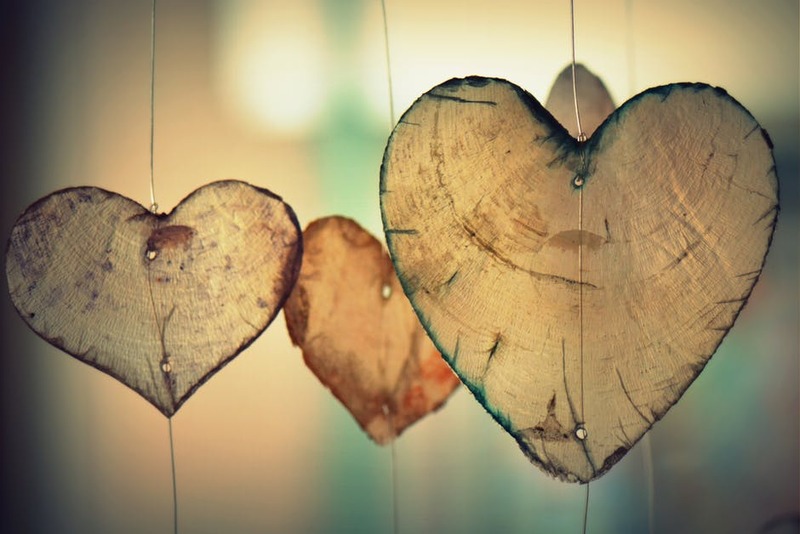 What are your 5 tips for a healthy, smooth sailing relationship? Pray together. When God is at the center of everything, everything will fall into place. Communicate. As they said, almost everything can be sorted through an open and honest communication. Be kind. If you can’t be anything, if there is no more love, then at least be kind. Be open. The two of you are not the same person which means that you will not have the same beliefs, the same principles, and the same ideologies. In fact, chances are big that you will have different ones so be open to understanding how the other person works. Let go of fear. Most of the time, we react negatively because of fear. Any tips to our readers for this upcoming Valentine’s Day? 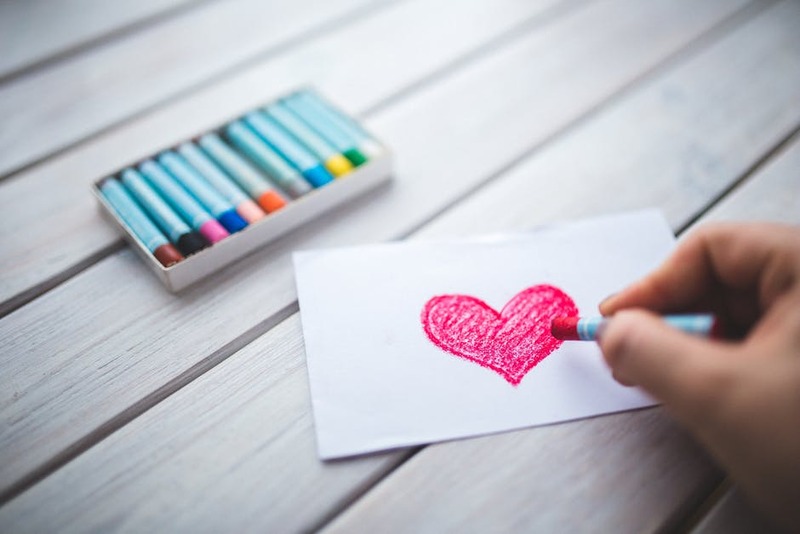 Valentine’s Day is primarily focused on the heart, on love but everyday should always take that into account as love is a journey and a decision which both souls builds on. While the whole world celebrates it, do so in a manner where it focuses not on consumerism or material things cause they fade. Be original: play a song, sing a song, cook with love for your shared favorite dish, go to the first place where it all began with your special someone, or go to church and why delay it, say I DO, tie the knot. Just make sure the other is ready and fits in the qualities and attributes of those listed above After All when you Look Through The Eyes Of Love You Should Be Bringing Out The Best Of Me/You, Here There and Everywhere. 26 January 2018 – Manila, Philippines: The largest global sports media property in Asian history, ONE Championship™ (ONE), sent the Mall of Asia Arena crowd into a frenzy last Friday night in Manila, with another thrilling evening of authentic martial arts action. The absolute best in local and international martial arts talent took to the ONE Championship cage at ONE: GLOBAL SUPERHEROES to showcase their incredible skills. In the main event, Geje Eustaquio walked out of the arena to a roar of adulation and with the ONE Interim Flyweight World Championship around his waist, defeating former world champion Kairat Akhmetov. 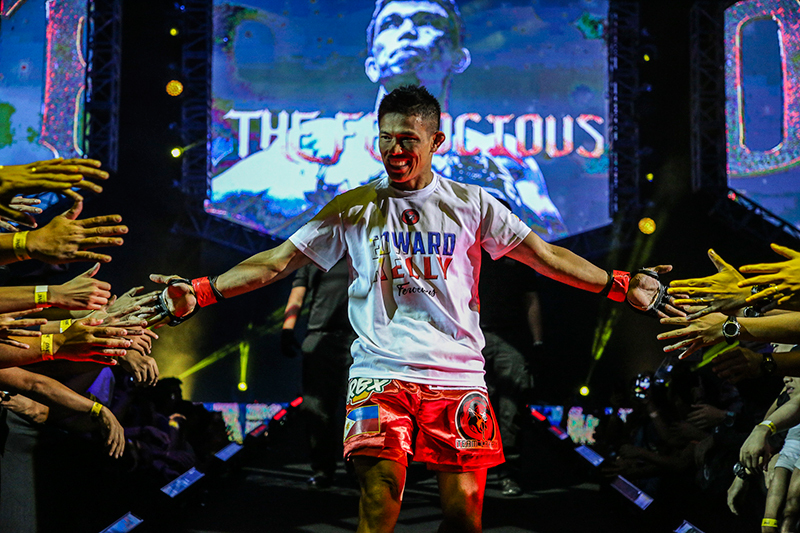 In the main event of ONE: GLOBAL SUPERHEROES, Geje “Gravity” Eustaquio of Baguio City, Philippines clinched the ONE Interim Flyweight World Championship, edging Kairat “The Kazakh” Akhmetov by unanimous decision in an exhilarating five-round title tilt. Although Akhmetov managed to showcase his wrestling, it was largely ineffective against Eustaquio, who was far superior in the striking department for the majority of the bout. Eustaquio repeatedly connected on Akhmetov with crisp, clean combinations throughout the championship contest. In the end, all three judges saw the bout in favor of Eustaquio to win by unanimous decision. In the co-main event of the evening, 22-year-old Joshua “The Passion” Pacio unveiled an improved grappling game, submitting China’s Lan Ming Qiang via rear naked choke in the very first round. Pacio started off with his world-class wushu, operating from range with fast and powerful kicks. After taking the action to the mat, Pacio effortlessly took mount and pounded on his foe who soon gave up the back. With the body triangle locked in, Pacio sunk his forearm underneath Lan’s neck and secured the bout-ending maneuver. Rafael “Indio” Nunes of Brazil made a triumphant return to the ONE Championship cage after two years away from competition to defeat Filipino featherweight veteran Eric “The Natural” Kelly by second-round submission. The 30-year-old Muay Thai specialist kept Kelly on the defensive with his striking before taking matters to the ground and sinking in a deep d’arce choke to score the finish. In the first ever traditional Muay Thai bout inside the ONE Championship cage, multi-division Lumpinee World Champion Sam-A Gaiyanghadao emerged triumphant against WBC Muay Thai Super Bantamweight World Champion Joseph “The Hurricane” Lasiri. Gaiyanghadao showcased his trademark power to dominate from start to finish, winning by technical knockout. A grueling flyweight showdown between “The Southern Eagle” Ma Hao Bin of China and Sotir Kichukov of Bulgaria transpired inside the ONE Championship cage. Neither of the two would give each other any quarter for three whole rounds, as they traded their best offense all throughout. Although Kichukov would have his moments on the feet, most of the action took place on the ground where Ma enjoyed a tremendous advantage. In the end, Ma turned in another well-rounded performance to claim victory via unanimous decision. Japanese grappling prodigy Hayato Suzuki placed himself back on the winning track, pulling off a first-round submission victory over former world title contender Yago Bryan of Brazil. With 57 seconds remaining in the opening period of the strawweight contest, Suzuki latched onto a wrenching rear naked choke to force the tap, notching his eighth submission win as a professional. Emilio “The Honey Badger” Urrutia of the United States continued his impressive run in ONE Championship, knocking out Brazilian jiu-jitsu world champion Bruno Pucci in the first round. Urrutia stifled Pucci with crisp boxing combinations, making it difficult for the Brazilian to bring the action to the mat. Urrutia secured the statement-making finish by connecting on a sensational left hook past the midway point, sending Pucci crashing to the canvas. Filipino featherweight standout Edward “The Ferocious” Kelly delivered a sensational first-round knockout of opponent Meas Meul, dropping the Cambodian with a high kick merely seconds into the bout. At the opening bell, Kelly engaged Meul at the center of the cage and connected on a quick three-punch combination before delivering the final blow that sent Meul face first into the canvas. Jomary Torres of Manila, Philippines scored the most impressive win of her young career, authoring a swift knockout finish over Team Lakay atomweight ace April Osenio. Torres left a lasting impression in her third trip to the ONE Championship cage, driving Osenio to the mat with a high-impact slam before putting the final touches with follow-up ground strikes to claim the knockout. Rajinder Singh Meena of India captured his first victory inside the ONE Championship cage, defeating highly-touted Chinese lightweight prospect Zhang Ze Hao by way of first-round submission. Determined to break into the winner’s column, Meena needed just 42 seconds in the opening round to put Zhang to sleep with a guillotine choke. Kicking off ONE: GLOBAL SUPERHEROES was a riveting strawweight encounter as Indonesian dynamo Adrian Matheis squared off against the debuting Eddey Kalai of Malaysia. Matheis weathered a gutsy opening sequence from Eddey, who effortlessly pummeled the ONE Strawweight Indonesia Tournament Champion with his superb boxing. The complexion of the contest took a drastic turn when Matheis gained leverage on the mat, catching Kalai with a rear naked choke to force the tap. 26 January 2018 – Manila, Philippines: The largest global sports media property in Asian history, ONE Championship™ (ONE), recently held an athlete outreach activity that saw ONE Championship athletes visit youth living in metropolitan Manila. Global Citizen Athlete Ambassadors Angela Lee, Brandon Vera, and Eduard Folayang, in conjunction with Young Focus, spent time with children from Smokey Mountain Area, while spreading a message of hope and the importance of access to education. Young Focus is a local NGO in the Philippines that provides underprivileged youth in the Tondo, or “Smokey Mountain” Area of Manila the chance to develop themselves intellectually, emotionally, psychologically, and spiritually. Through education, Young Focus addresses poverty directly by giving the next generation the best possible opportunities in life. Athletes toured the area, met community members and visited Young Focus centers which cater to children from infancy, preschool, all the way up to the tertiary educational level. Young Focus founders Paul and Ann Wijgerden have over 1,500 children from the area participating in the program. Athletes not only helped children of all ages in their various classes, from English to Mathematics, to Music and Dance, but also inspired them by sharing their own personal stories and reinforcing the importance of education. The day finished with a martial arts demonstration. 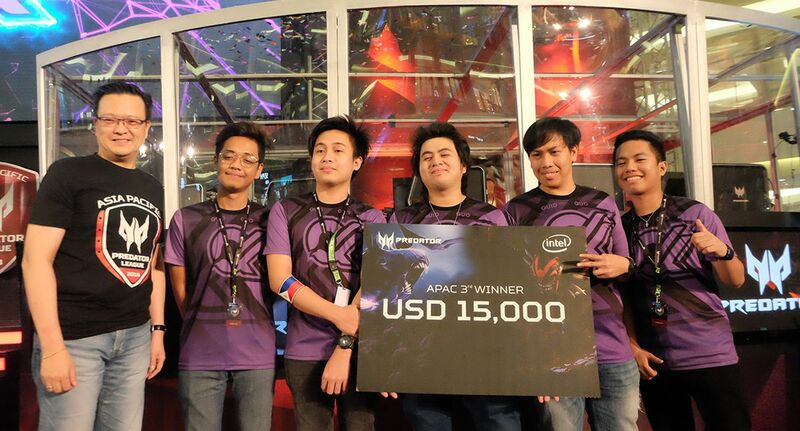 ONE Championship also invited 100 Young Focus students and staff to attend the ONE: GLOBAL SUPERHEROES event on Friday night, 26 January at the Mall of Asia Arena. As part of the partnership with Global Citizen to encourage fans to become Global Citizens and take action, ONE athletes will continue to play their part in driving this social movement as well as supporting local initiatives that provide access to education to tackle extreme poverty. To learn more about the ONE Championship and Global Citizen partnership, visit www.globalcitizen.org/one. For more information on Young Focus, please visit www.youngfocus.org. ONE Championship recently announced a partnership with Global Citizen, an international advocacy organization with the goal of ending extreme poverty across the world by 2030. The partnership will harness the power of ONE’s platform to engage millions of martial arts fans around the world to support initiatives and find solutions to the issues associated with extreme poverty. Global Citizen and ONE will collaborate across 24 live ONE events scheduled in 2018, and various outreach activations throughout Asia. Fans will have the opportunity to take action and engage with specific policy areas including, education, food security, hunger and nutrition, global health, and gender equality and empowerment. ONE Championship, Asia’s largest global sports media property, is a celebration of Asia’s greatest cultural treasure, martial arts. The promotion engages millions of people across Asia by building local martial arts superheroes, telling their inspirational stories of perseverance and triumph through martial arts, which has been home in Asia for the past 5,000 years.